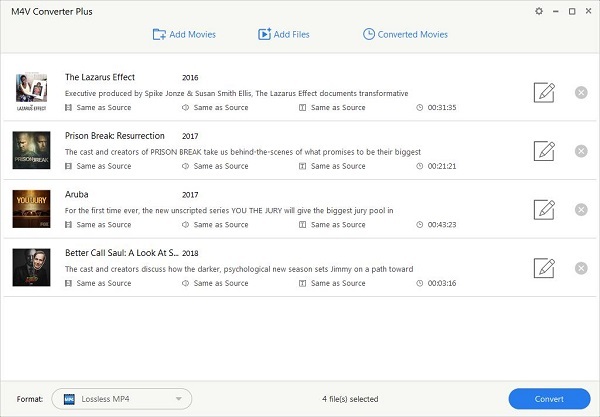 M4V is always used for videos downloaded from the Apple iTunes store; includes TV episodes, full-length movies, and music videos, similar to an .MP4 file, but may be copy-protected using Apple's FairPlay DRM copyright protection. Because of the DRM copyright protection, you cannot play and enjoy the M4V movies, if your computer don't be authorized (using iTunes) with the account that was used to purchase the video. It looks a little trouble and inconvenient. If you convert these protected M4V files to unprotected MOV format, all the troubles would be removed naturally. Here you can ask M4V Converter Plus for Win for help. M4V Converter Plus for Win is a professional iTunes video conversion program, which can convert any M4V files to MOV for Windows users. 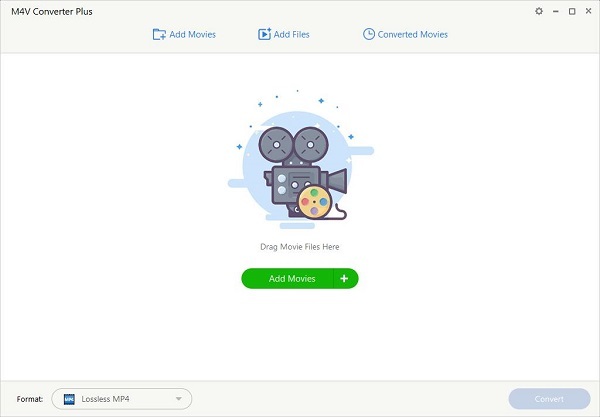 This M4V to MOV converter can remove DRM protection of movies, TV Shows, music videos purchased or rent from iTunes Store, then convert them to plain MOV, MP4, AVI, MP3, WMV, etc. With many functions, the powerful M4V to MOV converter will bring you much pleasure. First of all, free download M4V Converter Plus for Win on your computer, install and run the software. You can see the next interface. Tips: The software is a trial version, you can only convert 1 minutes each file. After you purchase this program, you would get registration Name and registration code to remove the limitation. M4V Converter is also an iTunes Video Converter, in other words, M4V Converter Plus for Win can only convert the videos on iTunes library. Even the movies are rent from iTunes Store, you can still convert rent M4V to MOV easily and quickly. 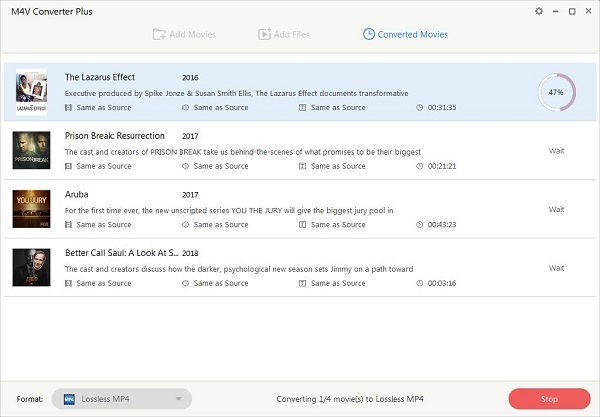 Step 1: Click Add Movies button to load the M4V videos you want to convert. Step 2: In the output format drop-down list, find the right output foramt and click to select it. 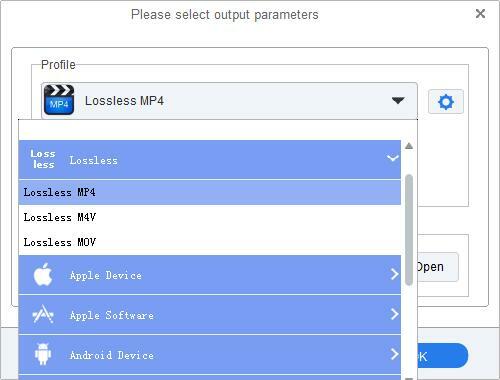 Follow your need, set MOV as the output format, or you can find one preset for your video player. You can also reset the output folder to save the converted videos. There are various output presets available such as iPad, iPod, iPhone, Zune, Apple TV, Gphone PSP, PS3, Sony Walkman, Blackberry, Xbox 360, Archos, Creative Zen, Sandisk, iRiver, Wii Nintendo, Nokia, Mobile phone, etc. Step 3: Click output format panel again to start M4V to MOV conversion.